March 22, 2018 by Laurie 2 Comments This post may contain affiliate links, which means if you click on a link and purchase something, I may earn a small commission (at no additional cost to you.) See my disclosure policy HERE. 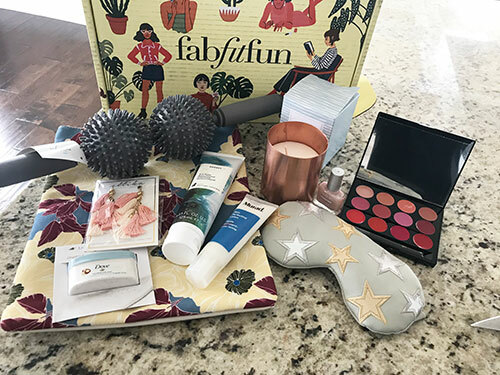 Only available to new members, the Starter Box is a way to try out a FabFitFun subscription with a smaller box, priced at $19.99. The box includes 3-4 full sized items from past boxes or add-on sales valued at $100+! New customers use code HONEYSB at checkout to save $30, making the FabFitFun Starter Box only $19.99 Shipped. It will come with over $100 in items. New customers use code FAB10 at checkout to save $10, making a FabFitFun full-size Seasonal Box $39.99. Comes with over $200 in items. Now that that's all cleared up (clear as mud, right?) here's my review of the full-size box! The FabFitFun Spring Box just launched and I wanted you guys to get in on it before it sells out! New customers use code FAB10 at checkout. That makes a box $39.99, which is great considering you get over $200 worth of products!! Boxes are shipped in March, June, September and December – and the March box just hit, but will sell out SO FAST! *Once the seasonal box is sold out, customers will instead receive the Editor's Box, which is also really nice. However if you want to receive gifts similar to what was in MY box, you definitely need to order fast because they ALWAYS sell out each season! At $39.99 (after coupon code) it would make a really nice gift (think Mother's Day or Graduation gift!) especially for someone that lives far away. If you’re interested in trying out Fab Fit Fun, go HERE and see what you think. 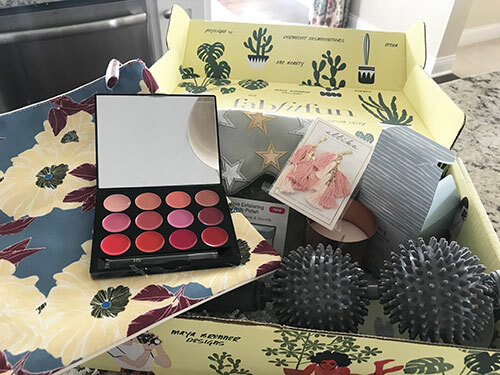 The picture of my box above was my first Fab Fit Fun Box, and while I won’t use all of it, I did love a LOT of it, and the items I’m not keeping I’ll gift to my nieces and sisters this Christmas ~ perfect! So far I’m pretty impressed, but would love to hear your thoughts too. Leave a comment to share! 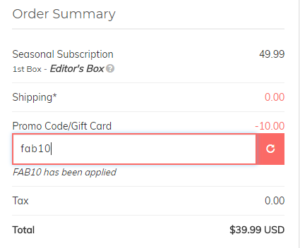 When using the $30 off code, you are only eligible for the starter box, not the full-size seasonal box. With the starter box, you get 3-4 full size items valued at about $100, compared to the seasonal box, which is valued at over $200. This is an important fact to note, as this article makes it sound like you’ll receive the full-size Spring Box for only $19.99, which is incorrect. Oh wow – Jennifer thank you for clarifying that, I didn’t realize that detail myself! I’ll edit the post accordingly!